Toyota has been fighting to break out of its own beige paper bag of boredom for the last few years. Cars like the Yaris and Auris inspire absolutely nobody, but are competent and reliable machines. Recently – and most distinctively with the new Prius – Toyota’s design division has shown it has broken free of its sensible shackles and is now aiming to produce striking new shapes and models to bring in new interest. This is where the Toyota C-HR comes in. A relatively compact crossover with an incredibly confident face, the new C-HR follows in the footsteps of the new Prius, and as such maybe represents the blossoming new face of Toyota. On the road, the all-new Toyota C-HR gives a steady and mature ride. This comes as no shock to us, because the crossover uses the same Toyota New Global Architecture as the new Toyota Prius. This keeps the C-HR’s centre of gravity low, and it means the Toyota C-HR stays level through tight corners. The pleasantly-weighted steering adds to driver confidence, while the Toyota’s suspension makes you feel as though you’re skating over potholes. Toyota and its sister company Lexus are not believers in diesel power, so this is one of the new crossovers to be offered without a diesel engine. Buyers instead have a choice of a 1.2-litre petrol with 116PS, or a 1.8-litre petrol-hybrid setup with 122PS. 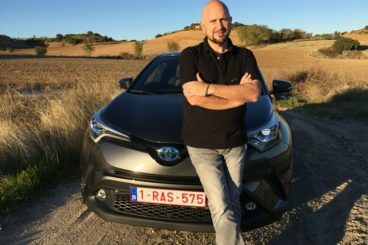 Toyota says that the latter will be good for over 70mpg, which is rather impressive, but as with all hybrid models, we have doubts about how achievable that figure is. One number we can get fully behind is the 87g/km of CO2 output, meaning that road tax for the all-new Toyota C-HR Hybrid will cost precisely nothing. Being geared for efficiency, the Toyota C-HR is by no means a sporty vehicle. The hybrid 1.8-litre set-up is limited to a top speed of 106mph and gets to 62mph in 11-seconds dead, but this isn’t a crossover vehicle for racing around in. One suggestion we would make is to avoid the Toyota CVT gearbox, as it can prove frustrating on a daily basis. A design like the new Toyota C-HR’s is simply impossible to ignore, but whether or not that’s a good thing depends entirely on the perspective of those who are gazing upon it. In the eyes of many, this exciting, more angular approach from Toyota – more reminiscent of Lexus than Toyota – is long overdue, with many modern Toyota’s lacking any kind of aesthetic appeal whatsoever. Inside the CHR crossover there is a certain amount of flair exercised in the design, but it still feels very Toyota. The materials used to make up the interior are what you’d expect to find in just about any of Toyota’s line-up, so while there’s nothing to write home about, at least it looks more exciting than some of the Japanese motor manufacturer’s other models. In terms of build, it’s more of the same from Toyota, too. The C-HR crossover feels very well put together and should benefit from Toyota’s history of good reliability. There have, of course, been recalls in Toyota’s history, but any issues the automaker had were rectified quickly. Practically speaking, there’s a handy 377-litres of boot space on offer, meaning small suitcases and the weekly shop will not be an issue when it comes to transporting it all from A to B.
Toyota mostly provides equipment that people really need rather than what they’d really like. Luxury touches are disregarded in favour of technology that improves safety and efficiency. The Japanese car-maker is particularly proud of its ‘Safety Sense’ system that combines adaptive cruise control, pre-collision systems, lane departure assistance, and there are even gadgets to read road signs for you. Aside from the Safety Sense, there is also going to be the optional ‘Tech Pack’ available which will provide blind spot monitoring, keyless entry, and fancy door mirrors that fold and illuminate puddles for you. Top spec ‘Dynamic’ trim level gets the optional ‘Premium Pack’ that adds a fancy JBL speaker unit and full-leather. If satellite-navigation is a must-have for you, then go for ‘Excel’ or ‘Dynamic’ spec, but even the entry-level ‘Icon’ trim level gets a reversing camera, which is a useful little gadget to have on any car. The all-new Toyota C-HR starts at £20,995, but can rise to £27,995 in the 1.8-hybrid ‘Dynamic’ trim. Options are fairly limited on all of Toyota’s models, especially when compared with what goes on in some German rivals. Business customers may be able to find the all-new Toyota C-HR 1.8 Hybrid for under £200 a month with six months of deposit upfront. And, with it being petrol-hybrid, it should suit smaller annual mileages better than a diesel-powered alternative. For those motorists looking to lease the all-new Toyota C-HR crossover on a personal basis, the same 1.8-litre Hybrid can be found for around £250 a month, with 10,000 miles a year of travel. It might not be to everybody’s taste, but if something causes a mixture of opinions, it is far better than causing none at all. For far too long, Toyota’s offerings have blended in with the background – uninspiring and slightly sad looking beasts, but not this all-new Toyota C-HR. It is angular, it is creased, and it is here to make a point. Theoretically, this should be a huge plus point in the all-new Toyota C-HR’s favour, but with hybrids so often reporting real life figures millions of miles away from the claimed figure, can it really deliver? If it can, 70mpg and road tax exemption will make the Toyota C-HR one of the most efficient crossovers on the market. Time will tell. The all-new Toyota C-HR does a really good job of balancing simple cornering ability with a smooth ride. It is not the softest ride on the market, but it does at least cope with the cracks and bumps well enough that it doesn’t intrude on occupants all that much. We can’t remember the last time we drove a car with a CVT gearbox and enjoyed it. That is all we need to say. Maybe we are asking for far too much here, but the all-new Toyota C-HR is doing that dangerous act of combining exciting looks with a very unexciting driving experience. We are not sure how well that will go down, but if you are an inner-city driver, it really won’t matter anyway. The all-new Toyota C-HR’s small 1.2-litre petrol engine produces only 116PS. That is quite a small amount for a modern car, and it struggles to get the C-HR up to speed. It is not puny, but some extra torque and power would be welcomed with open arms. The all-new C-HR is a stylish and eco-friendly piece of kit. 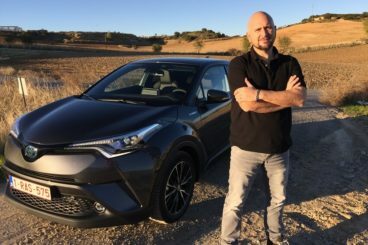 But how does the latest model from Toyota measure up to its two main challengers in this compact crossover category? Now, Audi has made a big fuss about how desirable its new Q2 luxury crossover is, and for some, it is. But we’re looking at the all-new Toyota C-HR now and thinking it could be the most desirable Toyota since… well, a long time, if we exclude the Toyota GT86 sports car. The all-new Toyota C-HR looks like a car that is far more expensive than it actually is, and it makes the new Audi Q2 look very underdressed when parked alongside it. While some motorists will prefer the more understated appearance that the Audi has to offer, those who want to stand out may well have their heads turned by the all-new Toyota C-HR. Inside, things are very different and when optioned up. The Audi Q2 has an interior that smashes the quality of the Toyota C-HR’s. To be fair to Toyota though, it should do, because this is what Audi does best. The German automaker has made a name for itself offering beautiful, luxurious, interior spaces. The issue is, an ‘optioned up’ Audi Q2 starts at over £30,000. 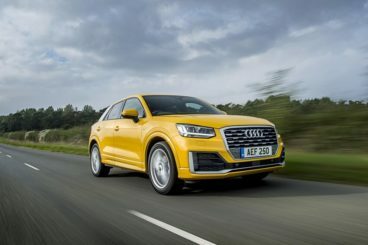 We recently tested an Audi Q2 S-Line model that came in at over £34,000, which is a crazy amount of money for such a small crossover. On top of that, there are the issues of a disappointing ride and a hit-and-miss ‘S-Tronic’ automatic gearbox. overall, that transmission is better than the CVT offerings in the Toyota C-HR, but it is another expensive Audi option. Audi likes to point out that its new Q2 starts at just £20,230, but nobody will buy one at this unadorned level and price. It is much harder to objectively decide between the Nissan Qashqai and the Toyota C-HR than it is the C-HR and the Audi Q2. The Audi Q2 is about how much you can spend on a compact SUV, while the Nissan Qashqai reminds us about how much we should spend on a compact SUV. 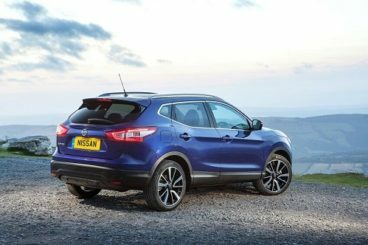 The Nissan Qashqai has been around for a long time now, and is still proving popular with families across Great Britain. Its success has been enormous, but is it now starting to be overtaken by the younger cars coming through the ranks? Well, no, actually. The Nissan still feels like the ruler of this particular segment, even if it doesn’t look as good as it once did. 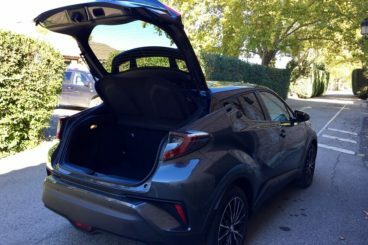 It is not necessarily a bad thing, though, as that boxy shape is better for taller passengers sitting in the rear – something the Toyota C-HR struggles with a bit. It still rides as well as before, gliding over the crusty road surfaces we have, and sticking predictably to the corners. There is also the bonus of the 1.6-litre diesel engine, one of the better diesel engines on the market and comfortably – and proven – to be capable of over 70mpg. It remains to be seen if the Toyota C-HR can match that particular figure. In the battle of the boot spaces, the Nissan Qashqai also comes out on top, with 430-litres of space available in the rear with the seats up. That’s a comfortable margin ahead of the Toyota C-HR’s 377-litres, and the Audi Q2’s 405-litres. The most impressive statistic with storage space is the available litres of room with the rear seats down. The Audi Q2 manages only 1,050-litres while the Nissan achieves a huge 1,585-litres, showing the difference in terms of available and useable rear cabin space. It is fair to say that the all-new Toyota C-HR has things we should be excited about, and things we should feel a bit underwhelmed by. The 1.2-litre petrol engine is on the weak side, and the 1.8-hybrid setup promises fuel efficiency we have doubts over. The automatic CVT ‘box is frustrating, too, and so is the lack of enjoyment in the driving characteristics. Despite that, this is probably the most desirable family-sized Toyota since the 1990’s, being stylish and modern and, for once, not being afraid to be a little bit different. But, while the all-new Toyota C-HR is comfy, fairly roomy for its size, and rather cool, it isn’t our choice. For the flexibility of a diesel option, extra room in the rear, and load space, we’d choose the Nissan Qashqai. It might not be the best looking, or the newest car in this test, but it is – logically speaking – the best car of this three.